EVERYTHING Arena Football! Each week Brandon Rush and Grant Gurtin talk AFL news, notes, and more. AFL Coaches, players, and fans sound off on the topics of the week. 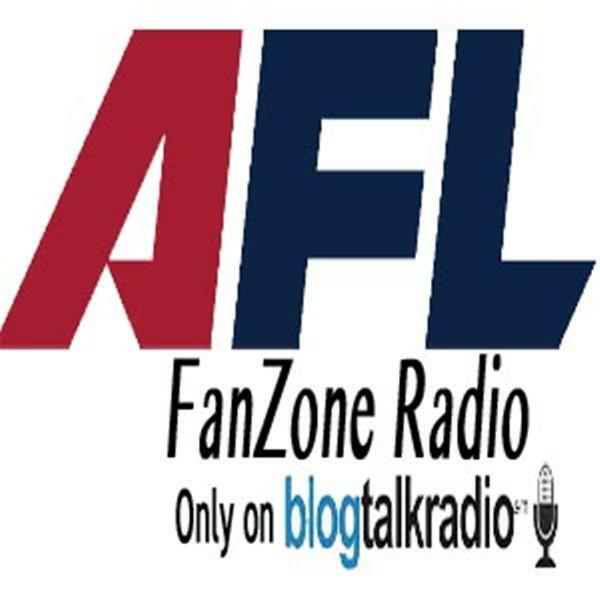 Brandon Rush and Grant Gurtin bring you AFLFanZone.com radio on the eve of the 25th season of the Arena Football League. Discussion about the upcoming season, the pending player strike, and all of the latest news! Brandon Rush and Grant Gurtin preview the 2012 San Antonio Talons, including roster analysis, coaching moves, and rundown of the Talons 2012 Arena Football League schedule. Brandon Rush and Grant Gurtin preview the 2012 Arizona Rattlers, including roster analysis, coaching moves, and rundown of the Rattlers 2012 Arena Football League schedule.